‘General Hospital’ star Donnell Turner just scored an exciting new role on the primetime series ‘Jane The Virgin!’ If you haven’t caught the awesome dramedy yet – it’s a must see! GH fans adore Donnell Turner as Curtis, and he has certainly made things interesting since his arrival in Port Charles. Currently Donnell’s character Curtis is involved with Valerie, but spoilers indicate there will be sparks flying between him and Jordan [Vinessa Antoine] very soon. 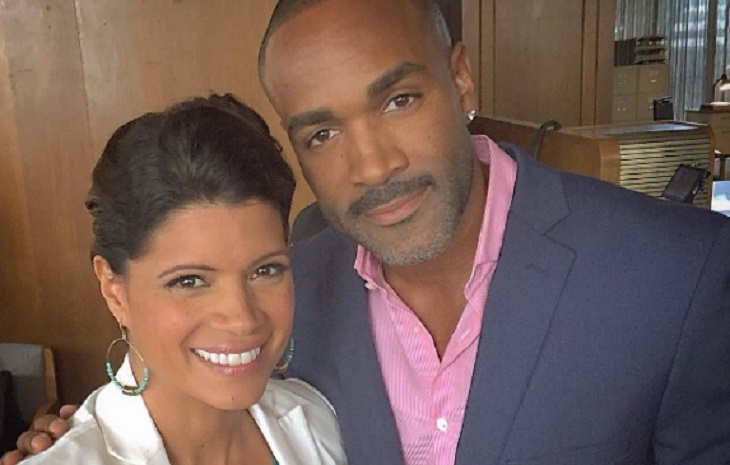 Donnell took to Instagram and shared a photo of himself posing with one of the stars of ‘Jane The Virgin.’ According to She Knows Soaps, Turner will appear on ‘Jane The Virgin’ on Monday November 7 at 9:00 PM on The CW, don’t forget to set your DVR’s! Are you a fan of the series? Let us know in the comments below! What to expect on General Hospital October 31 – November 4! ‘General Hospital’ POLL: Who Do You Want Liz With, Franco or Griffin? VOTE!